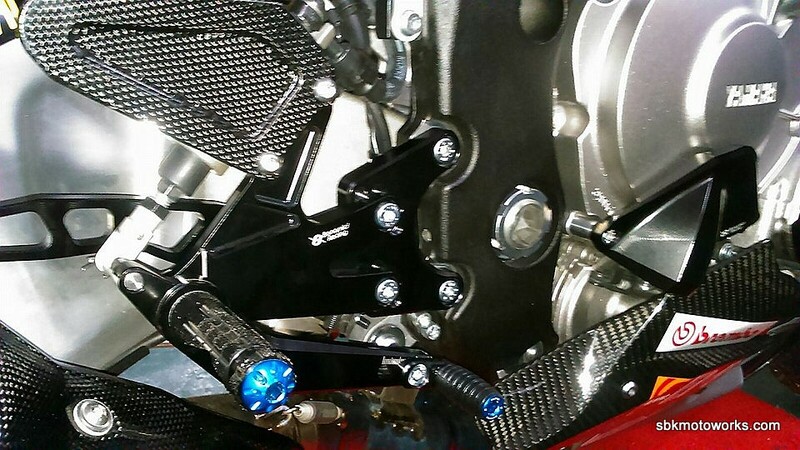 At Superbike Motoworks, we work with our partner to supply the best performance parts for your high performance motorcycle. 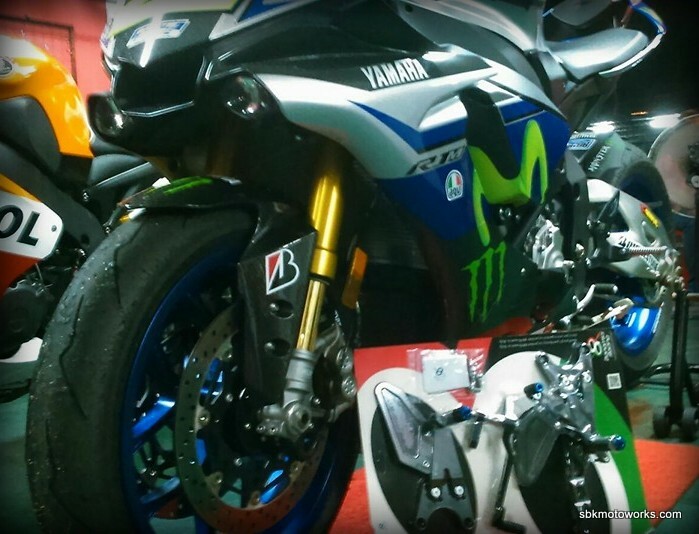 This the latest installation of Bonamici Racing rearset and engine cover protection for this amazing R1M 2015. 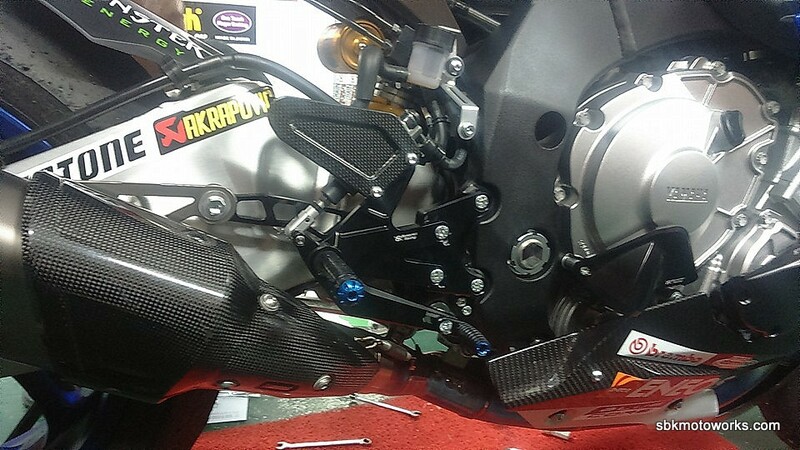 The rear set set comes with carbon fiber heel protection is just match with the carbon fiber fairing for R1M. Thank you customer for the pictures. 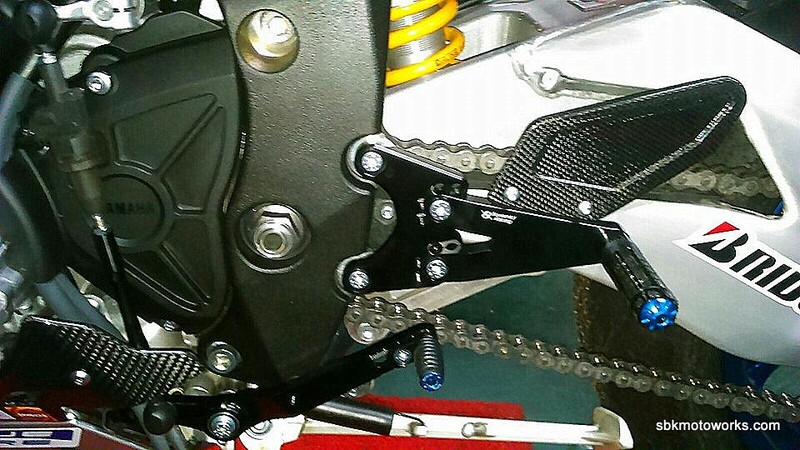 Do email us at info@sbkmotoworks.com for your order, we can help to deliver it worldwide. This product is made in Italy as part or of collaboration with Bonamici Racing Italy. It can be used for normal or GP shifter. 2 in 1.